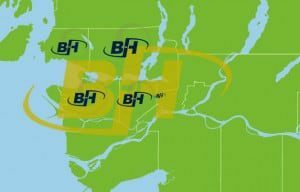 Whether it is in Vancouver city, or suburbs of North Vancouver, Central Lonsdale, West Vancouver lower levels, British Properties, Horseshoe Bay, North Burnaby, Metrotown, Coquitlam, Port Coquitlam, Port Moody, Maple Ridge, Surrey, Delta, New Westminster, or White Rock we have a specialized team and fleet ready to serve your needs. Contact us for an appointment or quote or if you would like one of our company representatives to meet about your commercial and strata needs. BUR-HAN Garden and Lawn care is a complete garden and lawn care service provider. Call our office today for a free estimate on services to help fit your needs.